The restoration of electricity in the early hours of Monday threw a man suspected to be in his late 30s off a high tension pole in his failed attempt to commit suicide. 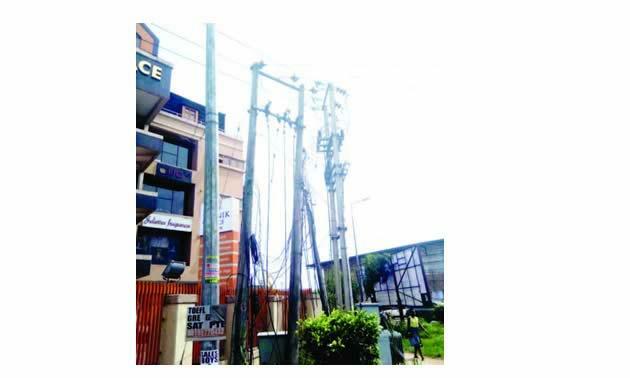 The unidentified man had climbed the high tension pole close to Jevinik Restaurant in New GRA, Port Harcourt at about 11pm on Sunday, claiming he was tired of life and that nobody was willing to help him after the death of his parents. It was gathered that the man’s presence on the high tension pole attracted a crowd, who begged him for over an hour not to take his life. Among those who appealed to the man was the General Overseer of a popular church in Port Harcourt, who promised him N1m if he would change his mind. But despite the pleas, the man insisted on committing suicide. 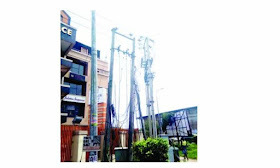 It was learnt that the man had initially touched some naked wires inside the two electric transformers beneath the poles, but was not electrocuted because the Power Company had yet to restore electricity. A source said that some minutes later, the man was suddenly thrown up by an unseen force and he landed unconsciously on the ground. Another eyewitness, who identified himself as Ben, said the electric shock peeled some parts of the victim’s skin. “The man said he was tired of life and that since he was without a mother and father who could help him, he decided to take his life. OPM General Overseer came here and begged him (suicide victim) to come down; the man of God even promised him N1m, but the man refused to come down. “After the pastor left, about 30 minutes later, the man touched one of the high tension cables and the thing threw him up before he landed unconsciously on the ground. “We tried to revive him; as soon as he regained consciousness, this same man rushed to climb the pole again, but we drew him down. It was at that point that some policemen, who were on patrol, came in and took him away,” Ben said. Another source told Southern City News that the man kept every sympathiser awake till around 1.50am the following morning as many begged him not to commit suicide to no avail. “They brought a ladder for this man to come down, but he did not, even when the Pastor from OPM pleaded with him and promised to give him N1 million if he changed his mind. “Initially, when this was going on, there was no light. But after the man of God pleaded with him and left, I think PHED restored power some minutes after. Before you know it, the man touched a cable on the high tension.